No I’m not talking about bow fishing, it is a quote from a book that came to mind after reading a recent archery article on the web. 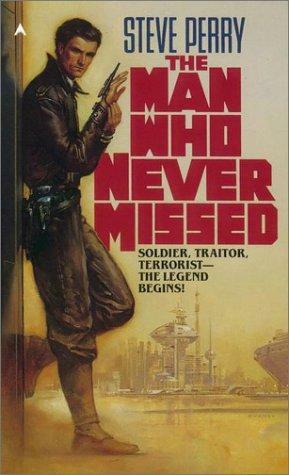 As I said the article reminded me about I book I read over 20 years ago “The man who never missed” by Steve Perry. Its the first in a trilogy of books. The story revolves around the main character Emile Khadaji and his mission to overthrow an evil galactic Confederation read empire. He masters a variety of skills including martial arts, bar tending, economic, smuggling etc, but one skill becoming a marksmanship in an exotic dart gun called a Spetsdōd. Whilst being taught to shoot it he is told the story of the 3 archers at a competition run by the local lord. The 3 archers had been matched all the way through and were eventually pitted in a head to head round. As an alternate target the lord placed a fish on the target boss. After the final round the ruler asked the 3 archer what they had aimed for. The first archer said they aimed at the fish, the second said they aimed for the middle of the fish, the final archer when asked what they aimed for said they had aimed for the fish’s eye. Well, you can guess who won. The moral of the story being you only get as accurate as you try to be. Reminds me of another sayings you hear from time to time. I think the one about luck and practise has been attributed to other sports. Can I simply just say what a relief to discover somebody who actually understands what they’re talking about on the net. You certainly understand how to bring a problem to light and make it important. More people really need to look at this and understand this side of your story. I was surprised that you are not more popular given that you surely have the gift.